During 2018 Tenax Therapeutics, Inc. (NASDAQ:TENX) re-aligned the company towards the development of levosimendan for Pulmonary Hypertension associated with Heart Failure and preserved Ejection Fraction (PH-HFpEF). Efforts included a successful pre-IND meeting with the FDA in April 2018, which allowed the existing Phase II clinical protocol to be used for PH-HFpEF. During the summer and fall, the company identified clinical trial sites, obtained approvals from institutional review boards (IRBs) and executed on contracting and scheduling. 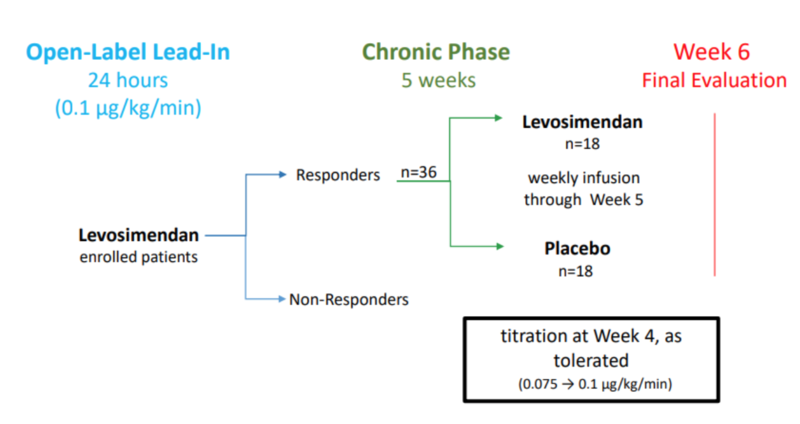 Prior to year end, the first site was activated and the first patient in the Hemodynamic Evaluation of Levosimendan in Patients with PH-HFpEF or HELP trial was enrolled in March 2019. The company also closed a $10 million capital raise in December, providing funds in support of the HELP trial which should be sufficient to complete the end of Phase II meeting. On April 1, Tenax filed its Form 10-K with the SEC. No revenues were reported in 2018 and operating expenses were $6.9 million. Net loss per share was ($4.35). Research and development costs of $1.2 million fell from the prior year’s $3.5 million as the company laid out the ground work to launch the HELP trial. General and administrative expenses totaled $5.7 million, essentially flat with prior year levels. Net loss for the period was ($6.8) million or ($4.35) per share. Cash balance was $12.9 million and cash burn reached ($5.5) million for 2018. The company continues with no debt. 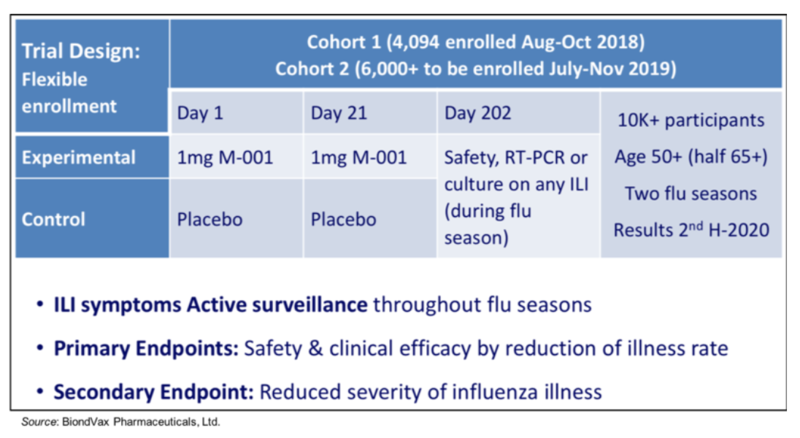 We anticipate expenses picking up in 2019 as the Phase II trial accelerates enrollment. Last November Tenax announced the activation of the first clinical research site for the PH-HFpEF trial at Stanford University School of Medicine. In March, the first of an expected 36 patients was enrolled in the trial. Including the Stanford location, Tenax is expected to establish 12 to 15 sites throughout the US to enroll the anticipated population. The process of developing the trial began in April when the FDA allowed Tenax to submit their Investigational New Drug (IND) application under the existing clinical protocol for levosimendan. The agency also addressed the company’s questions and provided guidance on the Phase II trial. Substantial safety work has been performed on levosimendan, eliminating the need for another Phase I. The FDA recognized that there are no approved drug therapies to treat PH-HFpEF patients and acknowledged this may eventually allow for a limited Phase III clinical program. Tenax will provide additional detail on the implications of a limited Phase III study at the End-of-Phase II Meeting for PH-HFpEF which we anticipate taking place in late 2019/early 2020. After meeting with the FDA for the pre-IND meeting, Tenax refined its trial design to reflect the input provided by the agency. Based on details provided in the corporate presentation and the press release, the structure required fewer enrollees and a greater number of sites. The trial will enroll PH-HFpEF patients in an open trial and responders will be randomized into the placebo-control trial (see exhibit). The study is anticipated to enroll 36 PH-HFpEF patients in 12 to 15 sites with a trial duration of 14 to 18 months. 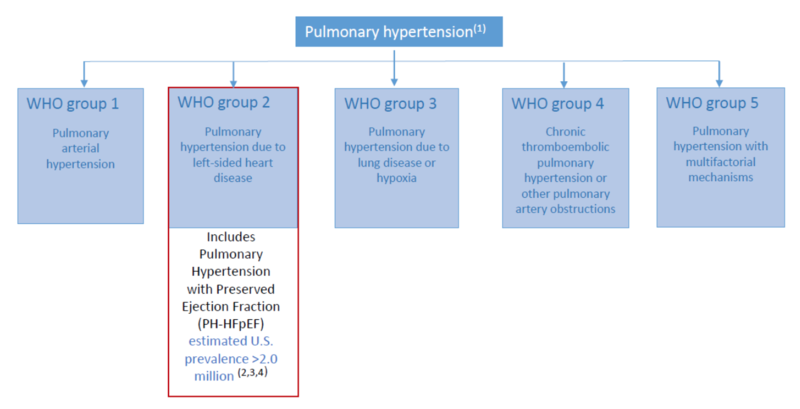 Based on preliminary work, enrollees will have a pulmonary arterial pressure (PAP) equal to or greater than 35, a pulmonary capillary wedge pressure (PCWP) equal to or greater than 20, a cardiac index (CI) of less than or equal to 2.2, a left ventricular ejection fraction (LVEF) of over 40 and be NYHA Class IIb or III. The primary endpoint of the study will be a change from baseline PCWP with bicycle exercise at Week 6. Expected secondary endpoints will relate to a change in resting PCWP under a variety of conditions, a change in resting & stressed CI, change in pulmonary vascular resistance (PVR) at rest & under stress, a global assessment at week six based on the Likert scale and length of exercise period, a physician’s assessment of functional class and clinical events, including death and hospitalizations. Based on management commentary and what has been accomplished in pre-clinical and clinical efforts to date, infusion for several hours one time per week appears to be the most likely dosing regimen. However, this will be confirmed in Phase II work. On November 6th Tenax filed an S-1 proposing to raise $10 million in equity capital to support operations into 2020. While the funds are not needed to launch the Phase II trial for Levosimendan, they should be sufficient to support the completion of the Phase II trial and the end of Phase II meeting with the FDA. On December 11, 2018 Tenax closed its equity offering which raised gross proceeds of $10 million and net proceeds of $9 million with the issuance of 5.2 million shares priced at $1.93 per share and 10.4 million warrants with an exercise price of $1.93. Half of the warrants have a two year term and half have a five year term. Total direct trial cost is anticipated to be from $4.5 to $5.0 million and these funds are expected to fully fund the study with sufficient capital to complete the end of Phase II meeting wtith the FDA if the trial is successful. Tenax was faced with difficult capital markets in early December, as global indices experienced major selloffs and a risk-off sentiment pervaded the investment environment. This led to a greater number of shares and warrants being issued in conjunction with the recent capital raise than we had anticipated. We sharply adjust our per share valuation downward to reflect the increase in shares and warrants that occurred in conjunction with the recent capital raise. We make this change despite an increase in enterprise value as a result of shifting forward our DCF model by one year. The combination of a decline in share price prior to the capital raise and the issuance of a greater number of warrants than expected spread our enterprise value over a materially greater number of shares and anticipated exercised warrants, generating our new target price. Activities in 2018 were dominated by preparations for the launch of the PH-HFpEF trial. There was a delay relative to our initial expectations as the company worked through administrative issues with partner institutions, such as contracting and budgeting and IRB approvals. The first site has now been launched and the trial is underway. We anticipate that Tenax will begin to enroll sufficient patients quickly enough to complete the trial prior to the end of the year. Based on the research and analysis included in our initiation, we believe PH-HFpEF patients will benefit from Levosimendan’s mechanism of action and clinical trials can be pursued with a reasonable cost and time commitment. The indication is also in an area with no other approved treatments. Market size is material and with no other approved therapy available, pricing should be strong and penetration high.